I think the annual First Day Hikes at Deception Pass State Park can now be called a New Year's Day tradition. This year's hike will be the fourth. The event will take us to Ginnett Hill, one of my favorite places in the park. 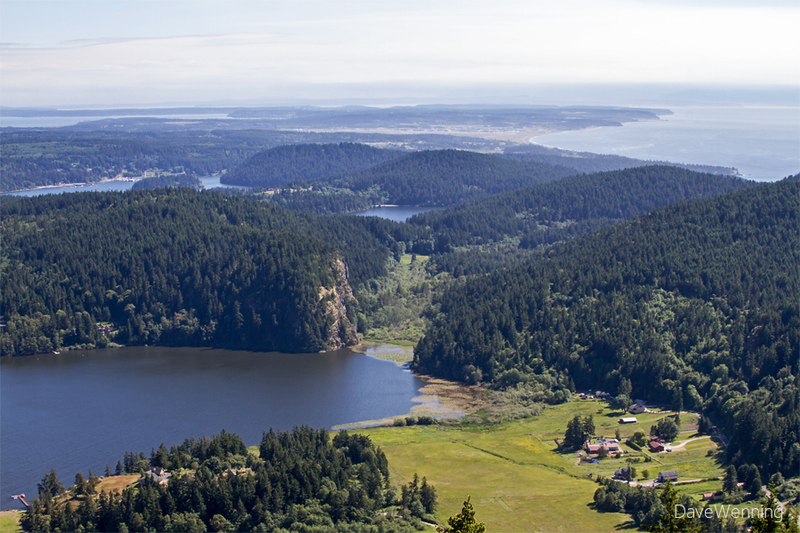 It will be difficult to top last year's hike up Goose Rock, but 2015 may accomplish that. I am very excited about this year's choice. I am certainly not going to miss this one. I can promise the Ginnett Hill Trail is something very special. 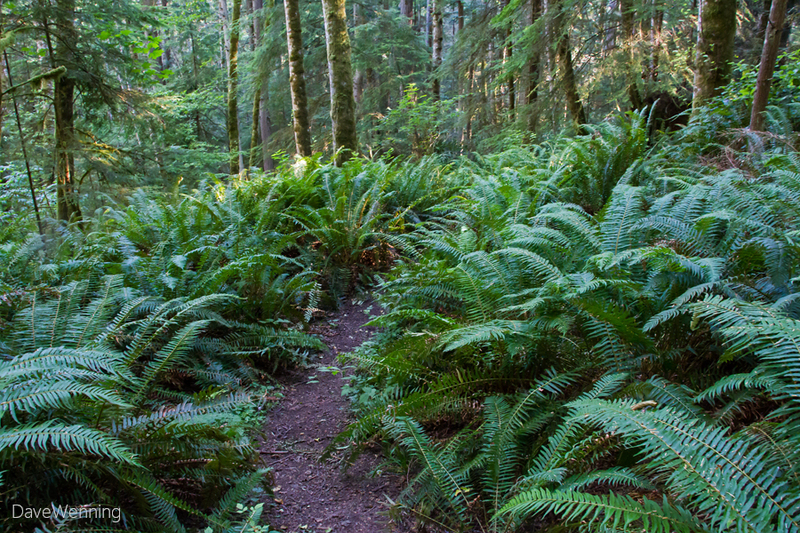 If you appreciate the unique nature of the Pacific Northwest, this hike should not be missed. My first visit to Ginnett Hill was in January, 2014. 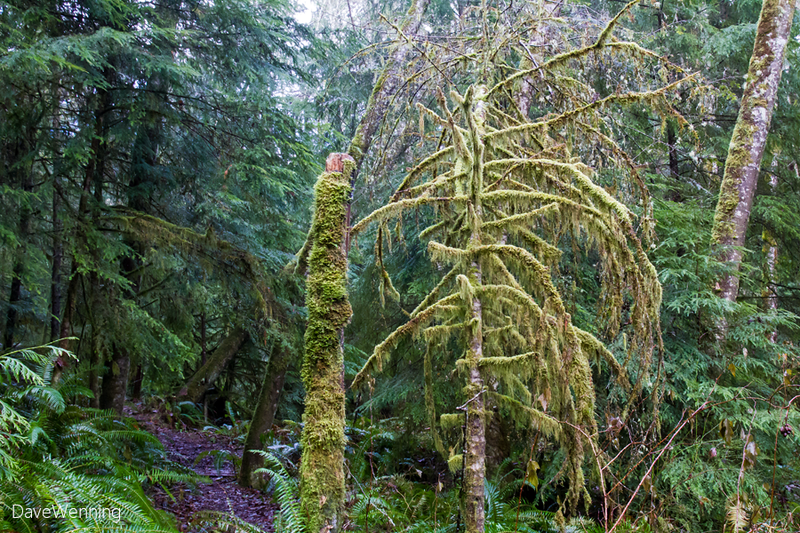 I found a temperate rain forest right here in the midst of the Olympic Rain Shadow. 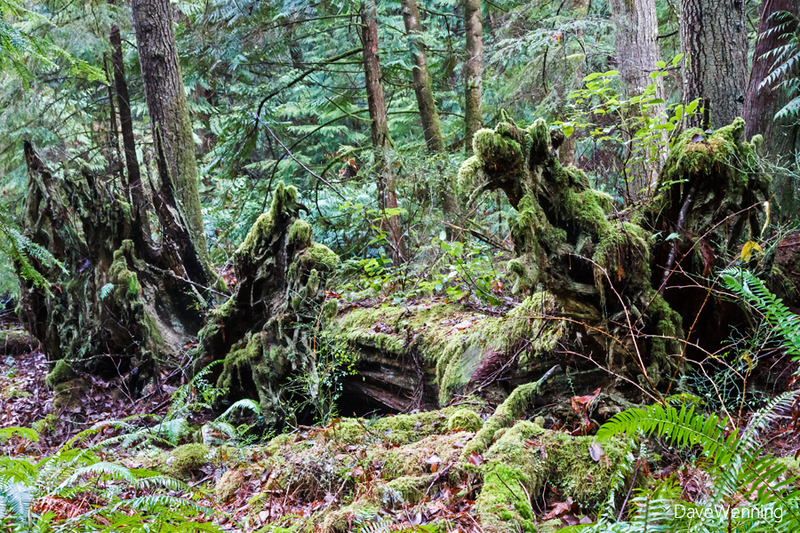 It was a "Kingdom of Moss" that was completely unexpected. The Sword Ferns grew higher than my shoulders. Streams were flowing everywhere. In one spot, the trail itself had become a small waterfall. But it was the mosses flourishing in the depths of Naked Man Valley that blew me away. 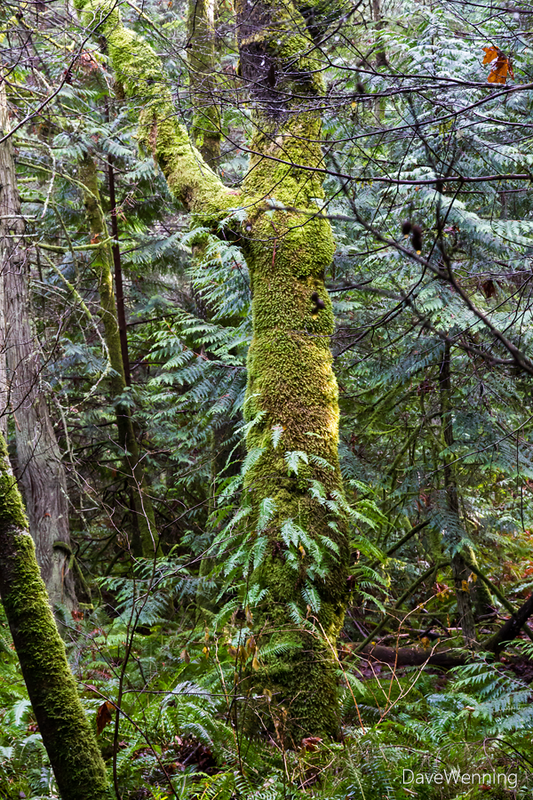 During the winter, the mosses and liverworts (Bryophytes) are in their glory. There are innumerable species, and they are the most ancient of all land plants. 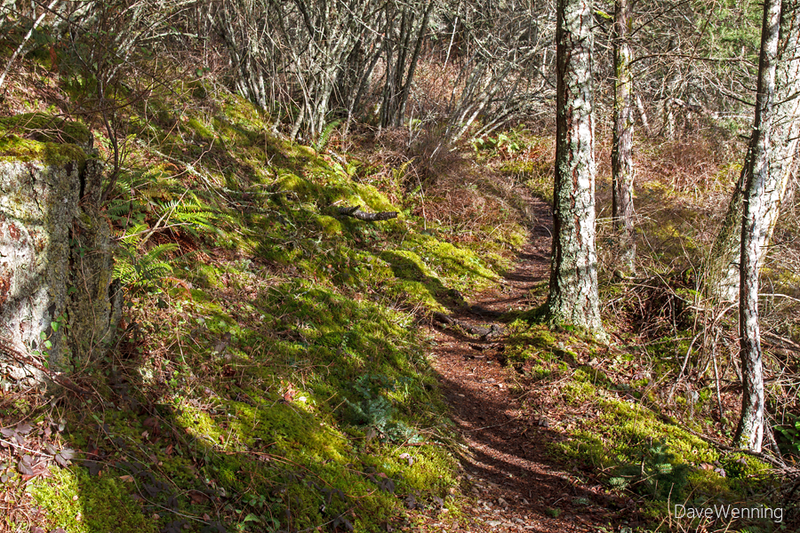 In the summer, the streams dry up and the mosses fade, but now the trail is lined with forest wildflowers. You might even encounter the Washington State Poet Laureate leading a writing workshop here. Nevertheless, I believe winter is the best time to hike the Ginnett Hill Trail. The light is better for photos under the canopy. 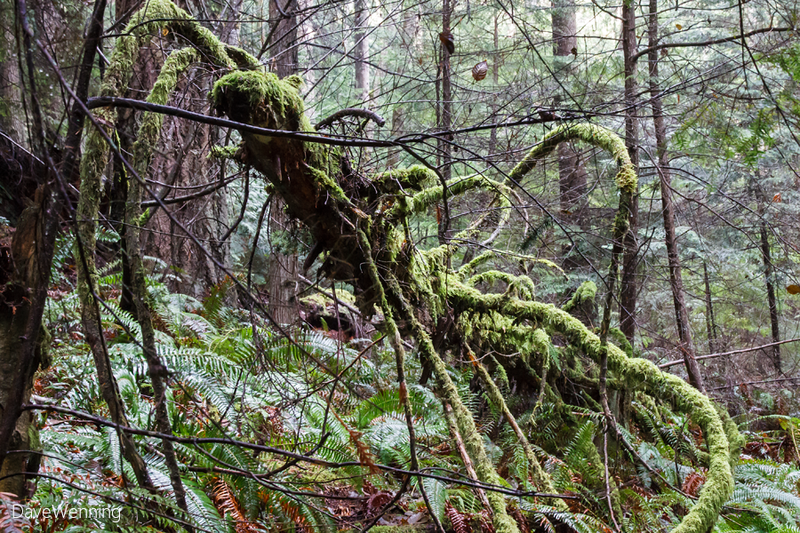 This forest is amazingly alive, almost sentient at this time of year. I came here alone, but never felt alone. I was compelled to feel respect for the surroundings and the organisms that inhabited this world. Perhaps this is why I devised the "Moss Kingdom" theme after my first visit. I hesitate to use the word "magic." It might seem absurd, but yes, there is magic in this forest. The trail is less trodden and more primitive than others in the park. This is one more thing that makes it special. Climbing out of the valley, it passes through a drier Douglas Fir/Madrona forest where more sunlight filters through. But the moss still rules in this kingdom. Another surprise will be found at the summit. People once lived here. 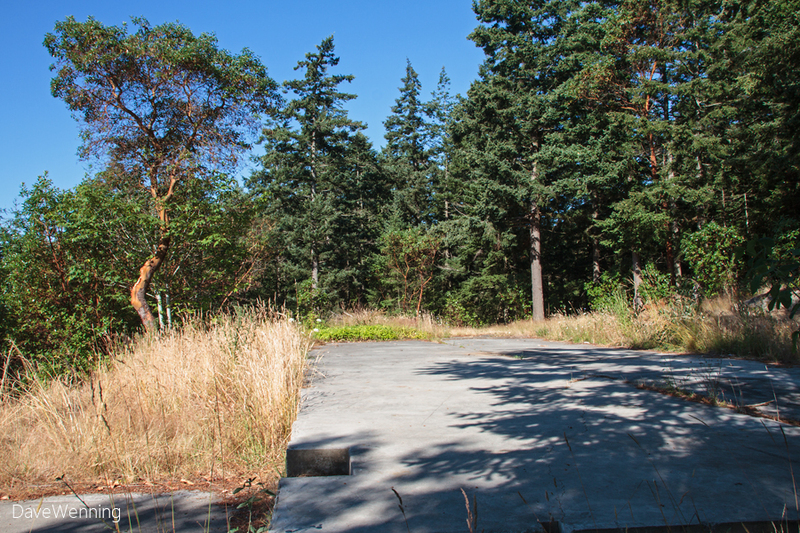 There is also a large meadow and fruit orchard just down the trail from this home site. And still more treats await the visitor. The views into the valley from the overlooks are amazing. This year's First Day Hike begins at 10:00 AM. Meet at the Pass Lake parking lot, at the junction of Highway 20 and Rosario Road. This is a small lot so carpooling might be in order if possible. There has been good weather three years in a row for this event. The weather spirits should be with us again this New Year's Day. The hike will have two legs again this year. 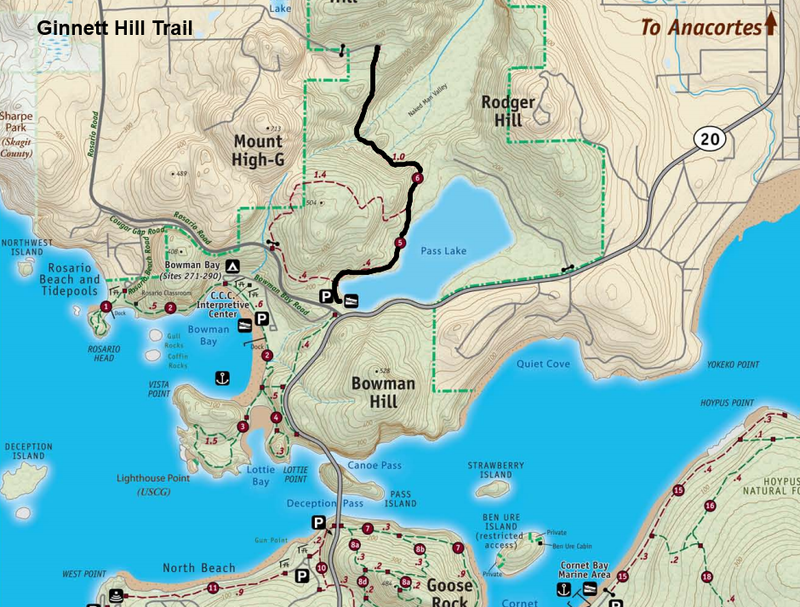 The first, shorter leg will be to the meadow accessed off the Pass Lake Loop Trail. The second leg will take us up to Ginnett Hill. 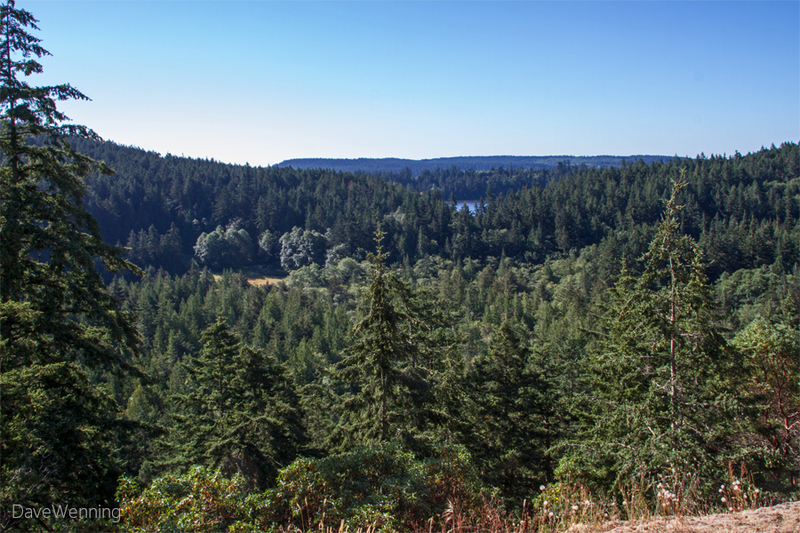 There are more details about the hikes in this month's Deception Pass Current newsletter (.pdf). Note that January 1, 2015 will be a Discover Pass "free day." See you on New Year's Day. Oh this is great to know! I usually ski on New Year's Day, but that's snow-dependent. This sounds like a great option. Will let you know if I can make it up!